A landmark scientific assessment commissioned by the United Nations Environment Programme (UNEP) has confirmed that agriculture is having a monumental impact on earth’s finite resources. According to the study, 38% of the world’s total land area was used for agriculture in 2007 and agriculture is responsible for over 70% of global freshwater consumption. “The fact that the impacts of agricultural products came out so strongly in our report was quite surprising,” says Professor Edgar G. Hertwich. The Norwegian University of Science and Technology professor is lead author of Assessing the Environmental Impacts of Consumption and Production: Priority Products and Materials, released in June 2010. The report was produced by the International Panel on Sustainable Resource Management, a body set up to provide independent and scientifically driven advice to the UN. The report’s purpose was to answer questions related to “how different economic activities currently influence the use of natural resources and the generation of pollution”. (The report’s scope does not include providing recommendations to policy-makers about how to address these problems, although future work by the panel may do this). The report considers environmental impacts from three perspectives: production, consumption and material usage. However, rather than start from scratch, the panel’s assessment distils key data from a broad collection of over 250 leading country, regional and global studies, such as the Millennium Ecosystem Assessment. The study’s two basic findings emphasise what we know from present scientific research. One is that our fossil fuel driven industries, including housing and mobility (transport), are “causing the depletion of fossil energy resources, climate change, and a wide range of emissions-related impacts”. The other is that agriculture and food consumption are “one of the most important drivers of environmental pressures, especially habitat change, climate change, fish depletion, water use and toxic emissions”. For example, in the United States — the world’s third largest agricultural producer — agrochemicals are responsible for the vast majority of the eco-toxicity of freshwater sources, with cotton alone accounting for 40% of the damage. Most alarming however, is the inefficiency of our food production system, encouraged by diet preferences in developed countries especially, but increasingly worldwide. Even in comparison to industrial activities, which are heavily criticised for their impacts on the atmosphere and biosphere, “agricultural processes have an inherently low efficiency of resource use, which renders food, fibres and fuels from agriculture among the more polluting resources”. At the crux of our inefficient use of land, water and soil is the fact that, currently, over 50% of the world’s crops are used to feed animals and not people. This problem will certainly be exacerbated in the future given that, increasingly, consumption of animal products correlates strongly with both population growth and economic growth. Further compounding this pressure on food production is the increasing demand for energy that is encouraging more bio-fuel production from edible crops like corn and sugar. These forces are converging in a world where more than 1 billion people are undernourished. Hertwich points out that a transformation in government policy is necessary here to reduce meat consumption, but is circumspect about how this can be achieved. “A shift of thinking is required, but a whole raft of social and cultural factors need to be taken into account — you can’t have uniform recommendations here,” he says. 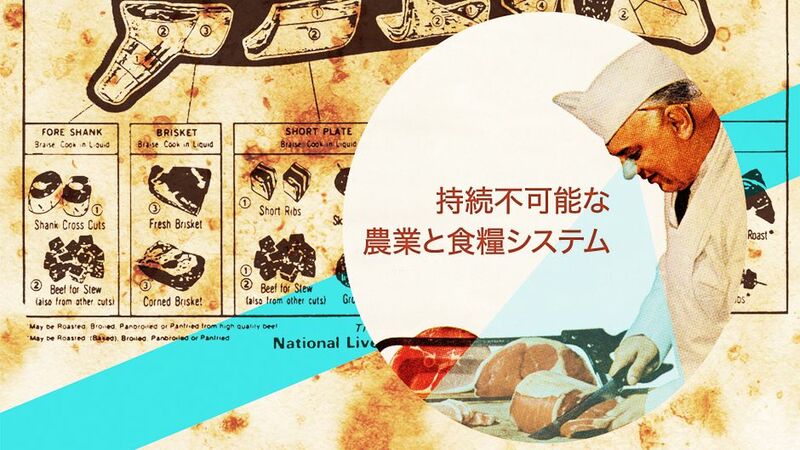 Evidently, meat and dairy products are an important part of people’s diets and cultures all over the world: from the barbecue grills of Brazil and the US, to the subsistence livestock herders of Kenya and Nepal. Yet people eating from an industrial food chain (e.g., from supermarkets and fast food outlets) are probably not eating wholesome meat from the grass-fed open range livestock depicted in food marketing campaigns. Instead, meat is increasingly coming from Concentrated Animal Feedlot Operations (CAFOs) where the consequences reach far beyond the contribution to global warming coming from the methane emissions and the destruction of rainforests to grow feed. The biologically inappropriate consumption of corn and soy by livestock (whose digestive/nutritional systems are not designed to eat those particular plants) requires tonnes of anti-biotics to insure against food-safety shocks from cattle infections and illnesses. This in turn has downstream impacts — from our rivers and bloodstreams, to say nothing about concerns about worker’s and animal rights. Hertwich feels that sensible and manageable change is possible. “Ultimately, I just don’t think the world has the land to keep feeding our desire for meat,” he admits. In determining its findings, the report team uses the DPSIR (Driving force – Pressure – State – Impact – Response) framework to take into account all aspects of environmental impacts. DPSIR measures ‘embedded’ environmental impacts, including “manufacture, use and end-of-life” impacts. This life-cycle analysis of the impacts of electric cars, for example, offers a more accurate indication of how much damage is being done to our environment. Hertwich believes that users of scientific information like the UN can rethink the way they deal with measuring greenhouse gas emissions. “Unless we move towards taking life-cycle analysis or consumption approaches in order to better measure environmental impacts, we will simply see energy intensive industries move to developing countries,” he says. Life-cycle analysis is increasingly relevant, given that, as the report identifies, the volume of internationally-traded goods is expanding. The breaking down of barriers to trade has led to a “translocation of environmental impacts to countries where production takes place”, rather than in countries where those products are ultimately consumed — e.g., greenhouse gas emissions are embodied in exports from developing countries to developed countries. One of the report’s fundamental aims is to “contribute to a better understanding of how to decouple economic growth from environmental degradation”. “We have established a clear connection of causation between environmental impacts and levels of wealth within countries. Wealthier people cause more environmental impacts — this is a consistent finding,” says Hertwich. In fact, the authors identify that a doubling of income results in an increase in CO2 emissions of 81%. This debate is now becoming more mainstream but who would the lead-author turn to for a different approach? In line with this thinking, Hertwich emphasised that success has to be measured by more than just economic indicators alone. “What makes us happy is not only absolute levels of wealth but finding a social space to spend time with loved ones, such as children for example,” he told Our World 2.0. We may sometimes forget that economic growth is a means to an end, and should not be an end in itself. It is therefore refreshing to see a human face behind such a scientific assessment, as these can often be dry and distant from people’s realities. We asked Hertwich if there any suitable country models to look at. However, even in idealised Norway, consumption trends for meat and fossil fuel use are not always moving in the right direction. With so many areas for change recommended in this report and in environmental policy discussions generally, where can policy makers and citizens start to make a change? According to Hertwich, “policy-makers should focus on priority areas — reducing environmental impacts with respect to food production, housing and mobility”. While this report is directed at policy makers, in reality, we are all decision-makers as 60% (and up to 70% in developed countries) of the life cycle impacts of final consumption lay within the household sector. Without doubt, changing what we consume within our own houses, and kitchens in particular, is a good place to start. Full details of the report can be downloaded here. Agriculture And Food Systems Unsustainable by Mark Notaras is licensed under a Creative Commons Attribution-NonCommercial-ShareAlike 3.0 Unported License. Now, next to Tim Jackson, many more names can be added of researchers who are pointing out root causes and possible solutions to our economic (environmental) problems. This overview by Mark, and the report by UNEP shows us what science has found so far. But there is something missing. The report does not question consumer demand, just describes that demand in terms of env. damage, and says “we must decouple economy from env. damage”. Well next on the research agenda is examining our demand for goods. Let’s look at the drivers of that demand, and see if there are any instances when consumption actually lowers our level of well-being. Is there any truth to the saying “money can’t buy happiness”? The problem is that society as we know it is largely dependent on consumer demand. If you start tampering with it, you create all kinds of social problems. Careful thought needs to be given to how you dismantle this and how to substitute it both economically and psychologically. We all know the best things in life are free but once they are provided, we inevitably think, what else is there?, and this is where consumerism fills the gap. I have a theory. So much emphasis has been placed on creation of wealth (GDP), but along with rising incomes comes rising spending. And I mean of the fixed type – like bills – that we do routinely. Thus higher disposable income may not increase savings, and actually makes us work more. How can we talk of a steady-state economy, and have people make less money (produce less goods) when they have adjusted to a lifestyle of increasing expenditures? However if income decreases at the same rate as expenditures, we still have the same amount of disposable income, and benefit. Add the likely benefit of more free time, in answer to the above question of “what is there?” Would focusing on lowering society’s expenditures by providing public goods / regulating business practices not be a good idea? I don’t know how we can keep people from shopping in their free time, it will require some structural changes in the economy and communities. Reports like these, while certainly of value, always skirt around the true cause of global resource problems: population growth. Isn’t it obvious that at some point (now, if you ask me), it will become necessary to curb reproduction somehow? Why is this never mentioned? Is it really *that* taboo to suggest that it is extremely environmentally irresponsible to have a child? No degree of investment into sustainability in any sector will matter if human reproduction continues on its current trajectory. Hello Sarah. Thanks for your comment but I don’t think we skirt around population issues at all. In fact, it often comes up in Our World articles and we have even had several that address it directly and indepth, including the excellent Population paradox in which Christopher Doll argues very convincingly that we should remember that just 10% of the world’s population accounts for 60% of the world’s consumption. For “…ironically, for a global problem like climate change [and I would argue that this applies to resource issues as well], the term global population is meaningless. One cannot talk meaningfully about population without talking about the associated consumption. 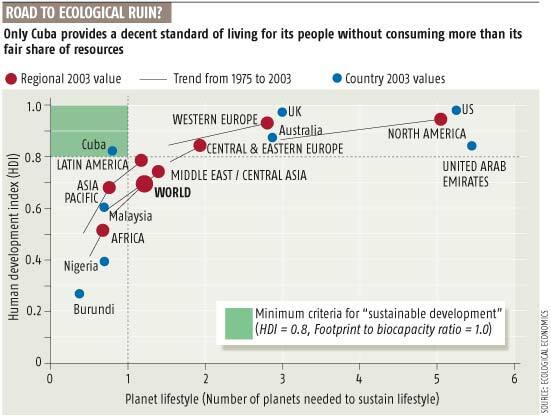 And if populations all consumed equally, the argument would be a whole lot simpler.” I truly feel it is over-consumption (see also Darek Gondor’s article Why do we over-consume?) and rampant cognitive disconnection from nature that are at the root of all our global woes, not children. Hi Carol – yesterday was the first time I’d visited this site and my ranting about avoiding the issue of population growth was about people in general, not this site specifically (just to clarify). I’ve just read Doll’s article and found it fascinating. Thank you for your post! I truly feel it is overconsumption (see also http://ourworld.unu.edu/en/why-do-we-over-consume/) and rampant cognitive disconnection from nature that are at the root of all our global woes, not children.